Her Exellency Kersti Kaljulaid, the President of the Republic of Estonia receives Honorary Doctoral Degree. 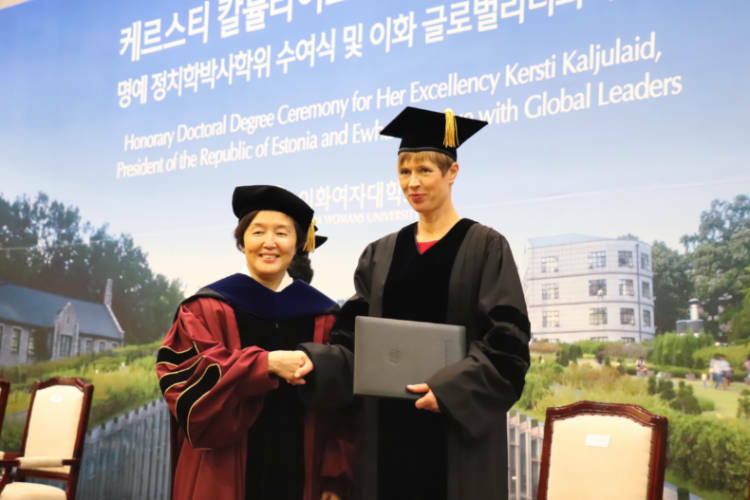 Her Exencelly Kersti Kaljulaid, President of the Republic of Estonia received her Honorary Doctoral Degree at Ewha on October 10th 2018. Photo by Park Jae-won.